The service is primarily meant for the company’s TVs, but will be available on Samsung’s mobile devices in the form of an app. The TV Discovery feature on mobile devices will stream content from smartphones and tablets to only Samsung TVs through AllShare technology, which allows users to beam multimedia content from Samsung mobile devices to TVs. The TV Discovery feature can also turn a tablet or smartphone into a remote control for a range of TVs, Blu-ray players, set-top boxes and other devices. Samsung’s mobile devices already have remote functionality. 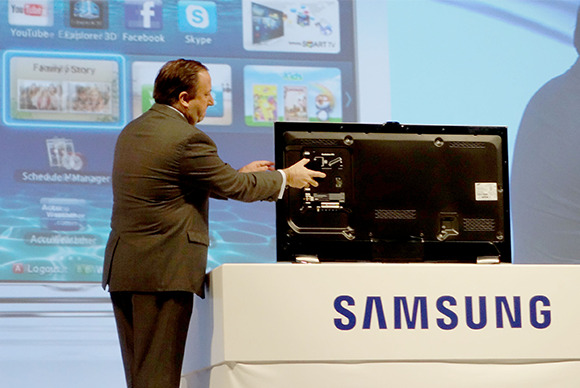 The TV Discovery feature will be available on Samsung’s 2013 Smart TV models in South Korea, U.S. and 14 European countries in the first quarter of this year. The service will be integrated in mobile devices in the same countries in the second quarter.